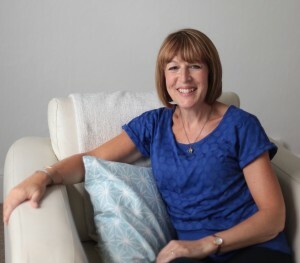 My name is Inez and I am a BACP Accredited and Registered Counsellor based in Kinver, near Stourbridge, West Midlands with many years experience of counselling adults, children and young people for a wide range of issues. At the heart of successful counselling is the relationship between you and your counsellor – as a client you will need to feel comfortable with your counsellor and feel that she or he really understands you and your issues. My aim is to build an empathic, trusting and non-judgmental relationship with you so that you are able to discuss your issues safely with me. I consider myself to be patient, calm and friendly and also very down to earth – I think it is important to explore issues and problems in the context of the ‘real world’ of work, school or college, friends, family, relationships, health, finance and other practical considerations as these will almost always impact on the other, and vice versa. My ultimate aim is for you to gain a better understanding of yourself so that you can feel empowered to make choices about how you think and what you do, in order for you to find your way through your issues and to begin to enjoy your life once again. I work in a quiet and peaceful therapy room in Kinver High Street, within easy reach of Enville, Stourbridge, Wollaston, Brierley Hill, Amblecote, Kingswinford, Wall Heath, Wombourne, Cookley, Blakedown, Kidderminster, Bridgnorth and surrounding areas. I hope you will find all the information you need on my website but please feel free to contact me without obligation if you have any questions. I aim to respond to all enquiries within 24 hours. and more, please ask me if your problem isn't listed here.